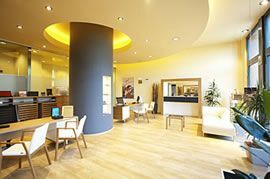 The Albertov Rental Apartments complex includes is a standard shopping centre accessible from the apartments, thus offering all-inclusive accommodation. Rent an apartment and enjoy all the benefits the residential complex has to offer. In the Potrefená husa restaurant, you can enjoy a very pleasant atmosphere and gastronomic adventures. Whether you choose to sit in the garden, restaurant or bar, you can always relish quality food and drinks from fresh ingredients of a proven origin. 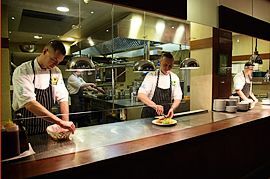 as well as the skill of an experienced team of chefs. 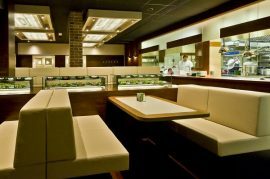 The restaurant speciality is grilled organic steak which will be prepared right in front of you. 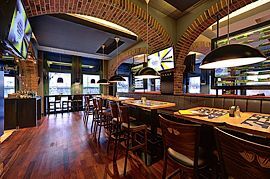 The bars on both the restaurant floors offer eight kinds of draught beers produced by the Staropramen brewery, selected wines and spirits, and great cocktails. 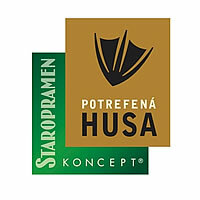 The Potrefená husa restaurant also offers free delivery right to your apartment. Just choose from the menu on the restaurant’s website and order your meal by phone. The history of Česká spořitelna goes back to 1825 when Spořitelna česká bank, its oldest legal predecessor, was established. The tradition of this Czech savings institution was later followed by the joint-stock company of Česká spořitelna in 1922. Today, almost five and a half million clients of Česká spořitelna speak volumes of its firm position on the Czech market. 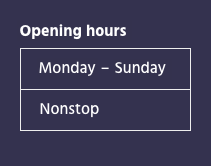 Are you wondering how far you will have to go to the nearest store in the Albertov Rental Apartments complex? Just a couple of floors by the lift! 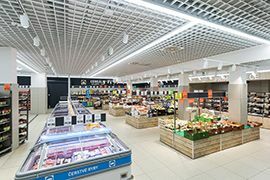 In the complex basement, you can go shopping to a supermarket where you can buy fresh and smoked meat and fresh bakery products from the supermarket oven. 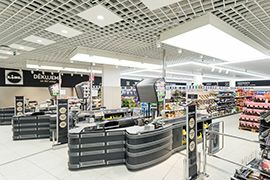 The 1,400m2 of the supermarket sales area offer a large selection of products. Do you like reading newspapers? Or are you looking for your favourite magazine? The newsagent’s close to your apartment offers a wide selection of newspapers and magazines every day. DMA Praha s.r.o. 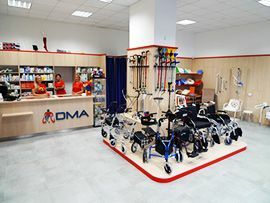 (Ltd.) has been operating on the Czech market since 1998 and is currently one of the largest local importers and sellers of mobility, orthopaedic and rehabilitation aids for the elderly and the disabled. It offers a complete range of medical equipment, information and consultancy services. The priority of the company is the maximum satisfaction of all customers. Therefore, DMA offers functionality and reliability, original and modern design, carefully selected materials, precise and sophisticated processing, and fast service. Thanks to the experience and creativity of its employees, the company can bring new innovations, progress, and improvement. 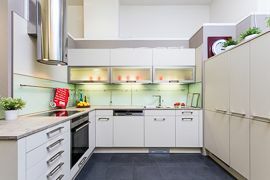 The INTERIÉR ČÁP kitchen studio has been founded in 1995, and it is a family company with a stable staff. 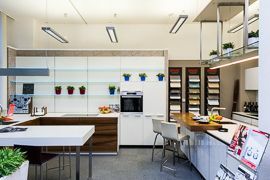 The philosophy of the company is to design and implement well-tried, yet unique structures and kitchen equipment from renowned manufacturers to make all clients happy. INTERIÉR ČÁP puts emphasis on quality suppliers and long and solid partnerships with them. Come to visit the opticians in the shopping centre! You will find out that glasses are not just a practical medical device, but also a great fashion accessory that will accent your unique style.